Make an all-natural air freshener with basic household items tailored to your own scent preferences. You’ll need a clean empty spray bottle, distilled water, clear alcohol such as vodka or rubbing alcohol, and essential oil. Make a solution with equal parts water and alcohol. Add 10-20 drops of essential oil until you reach desired fragrance. The alcohol will keep the essential oil from evaporating. Experiment with different essential oil combinations to achieve the desired scent. 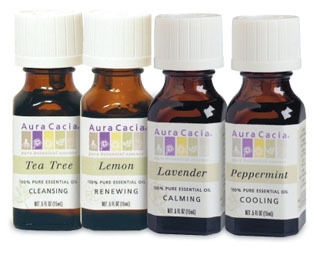 Coborn’s carries a wide variety of essential oils from Veriditas Botanicals and Aura Cacia.